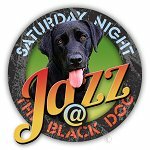 Saturday Night Jazz at the Black Dog comes every week, as it has for the past 2 1/2 years under the curatorship of Steve Kenny. 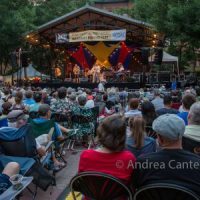 Twin Cities Winter Jazz Festival comes every winter, as it has for the past two consecutive winters under the directorship of Steve Heckler, who also has directed the summer Twin Cities Jazz Festival for each of its 18 annual productions. This weekend, Kenny and Heckler collaborate on the opening night of the Winter Jazz Festival with a special edition of Saturday Night Jazz at the Black Dog, featuring an opening set from the Tommy Bentz Quartet, followed by a “Welcome Home” show from the Rodney Ruckus Trio. Ruckus, with Javi Santiago and Greg Byers, just concluded a tour of venues in the Midwest and West Coast. Based in River Falls, WI, multi-instrumentalist and singer-songwriter Tommy Bentz performs in rock, classical, jazz, blues, bluegrass and “newgrass” bands, and owns and operates Brickhouse Music in River Falls and Eau Claire. 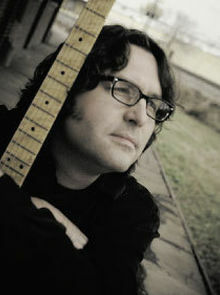 In addition to guitar, Tommy has played violin, oboe, saxophone and bass. 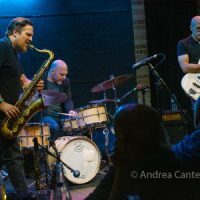 His regular trio includes bassist Jason McLean (Dark Blue, Red Nightfall) and drummer Alex Burgess (Group 47), and tonight adds Steve Kenny on FLUMPET™ to shake the walls of the Black Dog. They’re back! After a big sendoff at Reverie and a tour covering venues in Eau Claire, Chicago, the Bay Area and Los Angeles, the Ruckus Trio brings it all back home at the Black Dog. 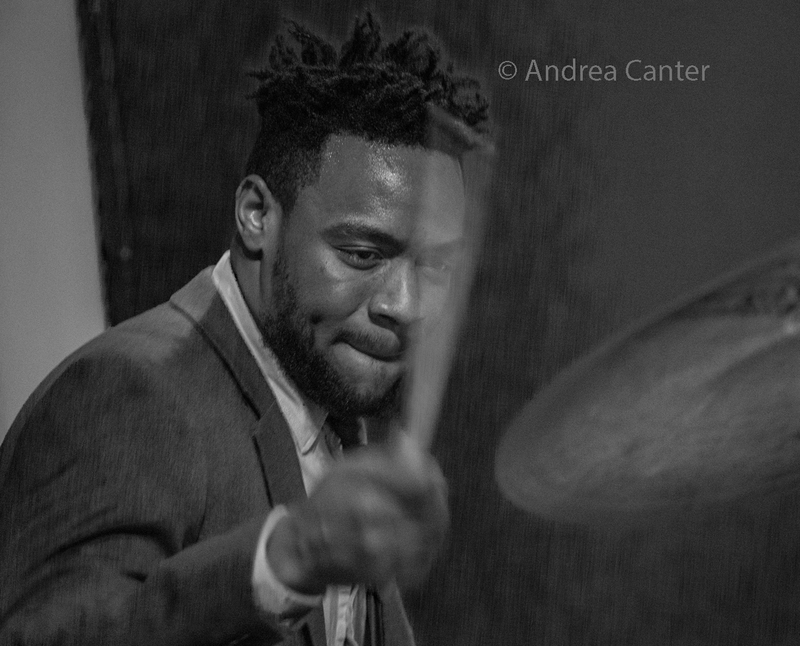 A Florida native, Rodney Ruckus started playing drums at the age of two in church, and also picked up piano and bass. “As a child, I had no video games,” says Rodney. “Instead, I had musical instruments. I was willingly brought up to be engaged into music twenty-four/seven.” Rodney was introduced to jazz at age 14 in his middle school music program after moving from Miami to Sarasota, FL. With some friends, he started playing for tips outside neighborhood markets. Later, his band The Jazz Juvenocracy raised money to travel, playing at the Montreux Jazz Festival, Jazz a Vienne, La Barington Jazz Club in France, and at the Umbria Festival in Italy. Rodney attended the Berklee College of Music on a full scholarship, and was selected as drummer for The Grammys in the Schools Foundation. After completing studies at Berklee, he received an Art Blakey Jazz Messengers Presidential Scholarship to the McNally Smith College of Music in St. Paul. He’s been on stage with such jazz luminaries as Tia Fuller, Ralph Peterson, Herbie Hancock, Billy Childs, John Patitucci, Joe Lovano, Roy Hargrove, Wynton Marsalis, and Charles Lloyd. Locally, Rodney performed with the Solomon Parham-Steve Kenny Quintet at the 2016 Winter Jazz Festival, with the Steve Kenny Quartet on Saturday Night Jazz at the Black Dog, with Anthony Cox’s Free Range Quartet at the Black Dog, and has led his own ensembles at Jazz Central Studios, Reverie, the Black Dog and more. Most often he mans the trapset, but don’t be surprised if you see Rodney at the keyboard or on bass. Minneapolis native Javier Santiago comes by his musical bent honestly, the son of drummer Mac and vocalist Laurie Santiago, and grandson of Latin percussion master, the late Luis Santiago. Javi began studying piano at age 7, turning to jazz piano and trumpet at age 10, and playing with the bands in middle school and high school as well as the Minnesota Youth Jazz Band and the first edition of the Dakota Combo under the direction of Kelly Rossum. In 2006, Javi was awarded the Jane Matteson Scholarship at the Schubert Club/Dakota Foundation for Jazz Education Jazz Piano Competition; the following year he won the David Paulus Scholarship at the same competition. 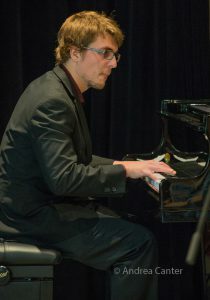 A former student of pianist Tanner Taylor, Javi was selected as a Fellow of the Brubeck Institute at the University of the Pacific after completing high school, where he attended for the maximum two years. 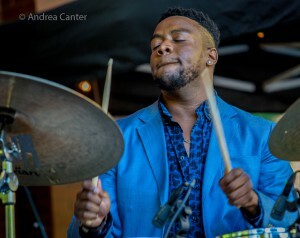 From Brubeck Javi moved on to complete his college studies at the New School for Jazz and Contemporary Music in New York, graduating in December 2011 after participating in the Betty Carter Jazz Ahead program at Kennedy Center earlier that year. Since returning to the Twin Cities, Javi has become a significant voice on the local jazz scene, performing at Jazz Central, The Nicollet (now Reverie), Black Dog, Icehouse, Crooners, and other venues as well as at the Twin Cities Jazz Festival. In 2015, Javi released an EP, Year of the Horse, with original compositions; in 2016 he was awarded a McKnight Artist grant to support his music. 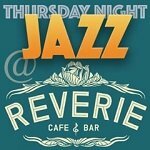 Among a number of ensembles, Javi currently performs with the Steve Kenny Quartet, and Rodney Ruckus Trio, as well as his own trio. A semi-finalist in the American Piano Competition in 2016, Javi recently received the competition’s Audience Award. 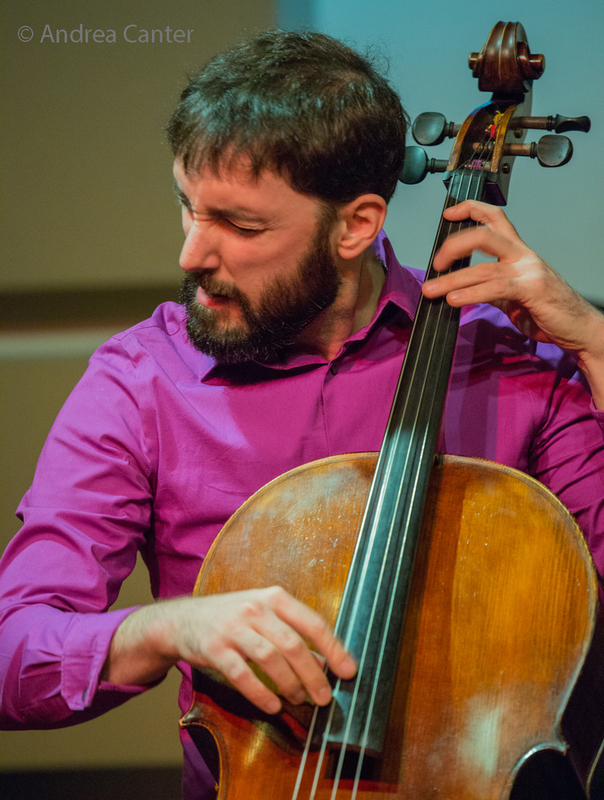 Greg Byers might be best known locally as cellist and bassist, but has actually mastered a number of string instruments. And he wants to play them all, at the same time. So in 2013, the recent graduate of the master’s degree program at McNally Smith College of Music found a way to musically clone himself, and with the help of a successful Kickstarter campaign, launched a tour of his project byerself, taking his music (composing, performing, producing, singing and songwriting) from the Twin Cities to Ohio, Ontario, the East Coast and Chicago. As a student at the University of Miami, Greg wanted to major in “jazz cello,” and after some unsuccessful negotiations with the college administration, Shelly Berg, Dean of the Frost School of Music, named Greg the university’s first graduate as a jazz cellist. After a stint in LA, Greg came to the Twin Cities to attend McNally Smith. 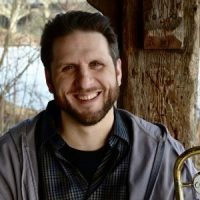 In addition to his “byerself” project, Greg currently performs with world music ensemble Axis Mundi, singer Raquel Sofia, jazz quintet Canadian Girlfriend, Rogue Tango, Tropical Zone Orchestra, Steve Kimmel’s Quo Vadis, Rodney Ruckus, and more. 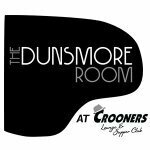 He’s also recently performed in duo with guitarist Chris Olson.